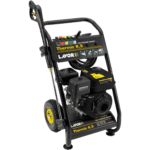 The THERMIC6.5 petrol pressure cleaner from Lavor is built with a Loncin 6.5HP Petrol motor and Lavor CL3 Crankshaft Pump. 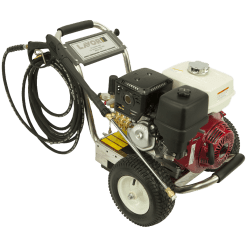 With an operating pressure of 3000PSI on a pump delivering 10.5 LPM, it is a gutsy performance machine for the part time user. 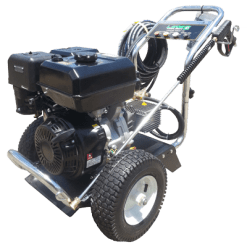 Standard accessories for this commercial high pressure washer include a 10 metre steel braided high pressure hose. Additionally, it comes with an industrial gun and spray lance, as well as 6 quick release nozzles. 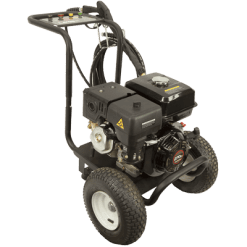 The steel trolley and pneumatic tires are also part of the great accessories which are standard. 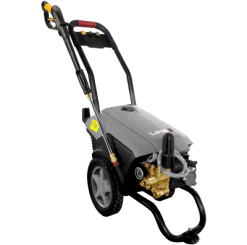 This cold water pressure washer is a real performer at a price which is not representative of it’s performance. 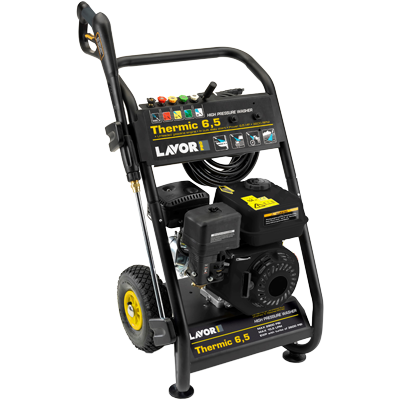 With the industrial accessories and 6 nozzles, it makes the machine excellent value with Lavor quality performance.